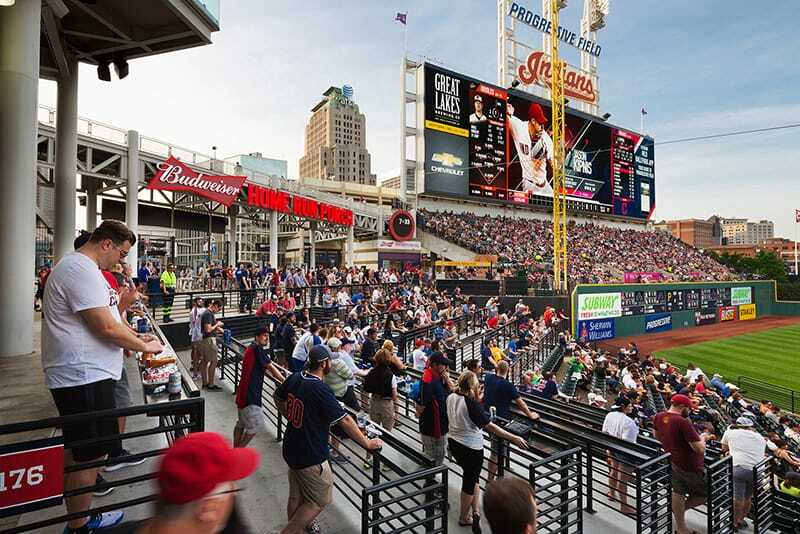 Gilbane continues to enhance the fan experience and sight lines at Progressive Field, home of the Cleveland Indians. 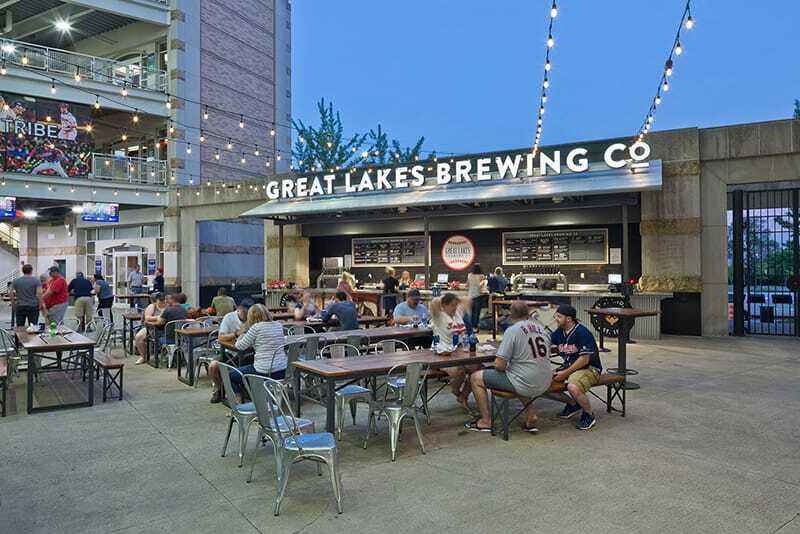 Gilbane was selected by the Cleveland Indians to perform design-build services for the team’s multi-million dollar Phase II renovation project at Progressive Field. Following Gilbane’s successful completion of the Right Field Improvement Project in Phase I, the second phase included renovations to the main concourse and multiple suites, addition of new concession options, construction of a new club behind home plate, renovation of the media control room, and construction of new standing room in left field. Enhancing the sight lines throughout the stadium has been a goal for each of the phases. 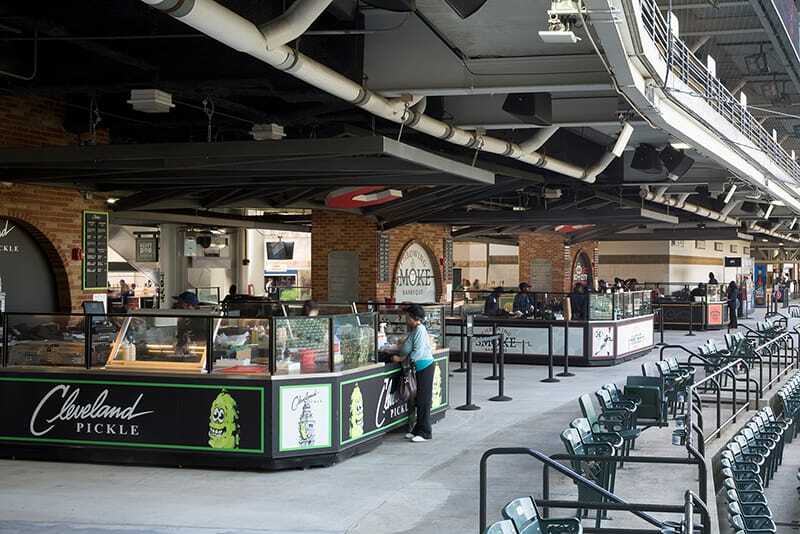 Renovations to the main concourse created more openness for fans walking the around the stadium and included new concessions that feature ballpark classics, as well as local specialties similar to the neighborhood themed concession areas constructed in Phase I. 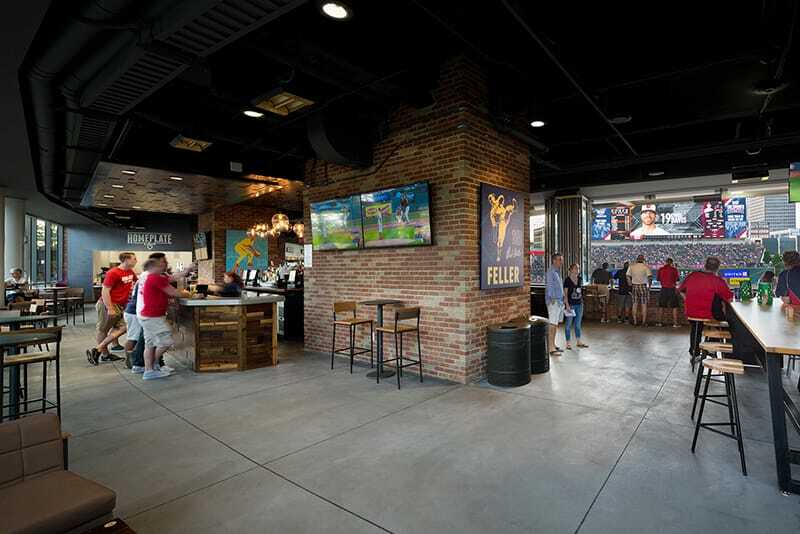 The new Home Plate Club located behind home plate features a full bar, access to the new concessions options, a customer service center, and a glass front for viewing the game. The club is available for season-ticket holders in the Diamond Box and Field Box Front sections and features design elements from The Corner bar that was constructed in Phase I, which was one of the most popular elements of the changes to the ballpark. With a fast-track construction schedule of only six-months during the off-season, construction began immediately following the final home game of the 2015 season and was completed for opening day of the 2016 season.